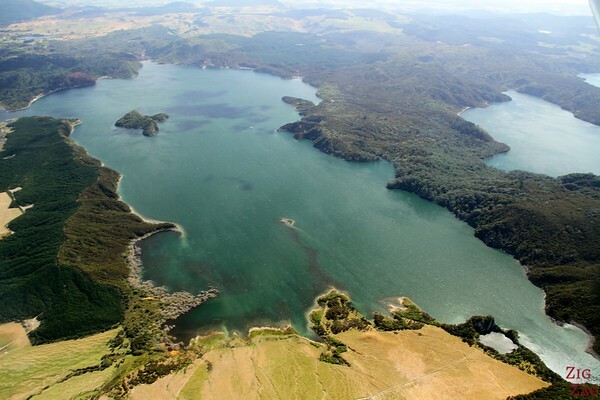 If you have a few hours to spare in Rotorua and want to do more than just discover the geothermal wonderland, why not try to fly over the area. I would never have suspected this landscape and it gives you a great perspective once back on the ground! 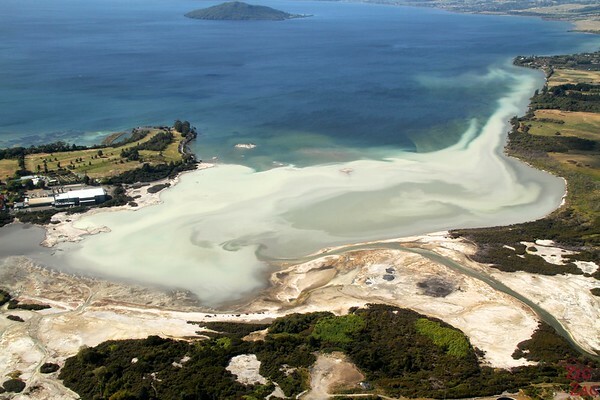 After a first day in digging for hot water on a beach and hiking to discover some wonders of erosion at Cathedral cove, we drove to the town of Rotorua and as I was sitting by the lake I saw a company offering helicopter tours and you know how much I like helicopters! Sadly I was alone and nobody else was planning to fly but they had a floatplane tour going!!! 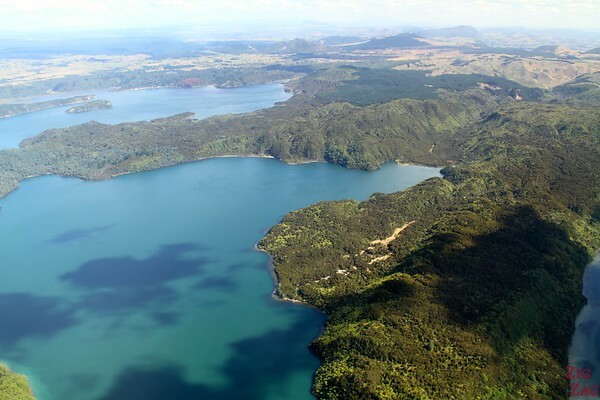 So I jumped on it and discovered the many lakes and volcanoes from the sky. 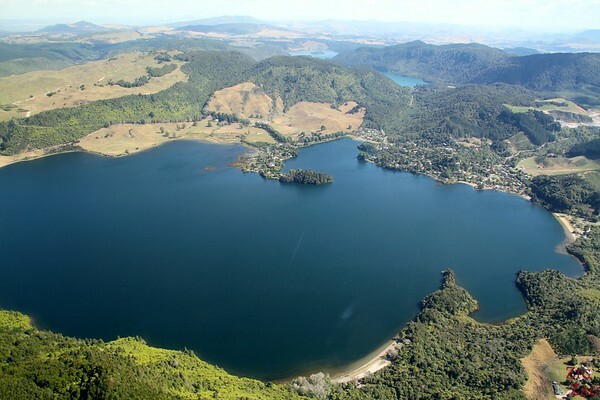 First: I selected this tour myself while I was in Rotorua and paid fully for the activity. Equipment / Plane: all seem to be in very good condition. Pilot: We had to drift for a long time before we were able to take off. The flight was a bit bumpy but the landing was really smooth! 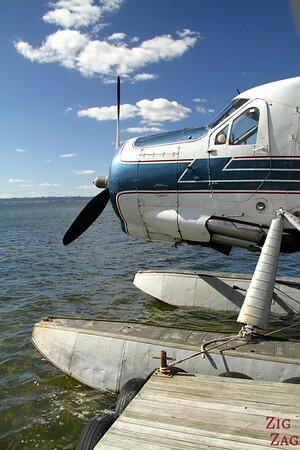 Here are some pictures of the floatplane. It was my very first time on such a plane. It was a bit scary but well worth it. Who knew there were so many lakes in the area? I had my front head stuck to the window of the floatplane the whole time. The sights and colors were mesmerizing. 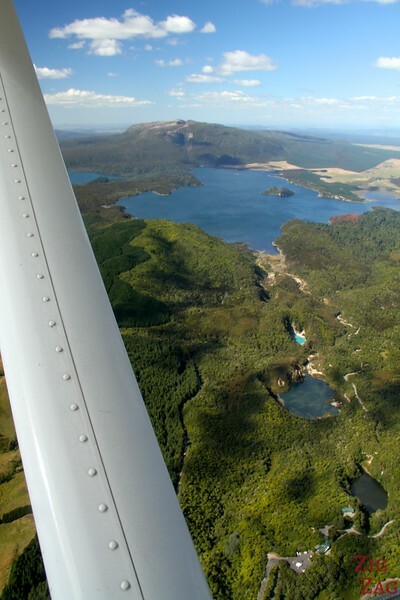 During this short flight we also flew over the volcano that erupted in 1886 and created mount Tarawera. The crevasse was very impressive et very red. 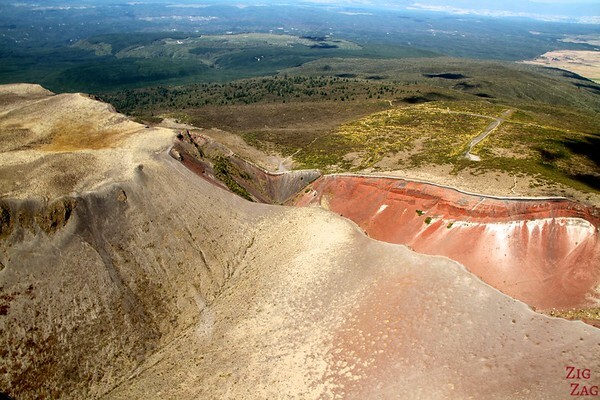 However I wish I had flown over a more traditional circular volcanic crater. 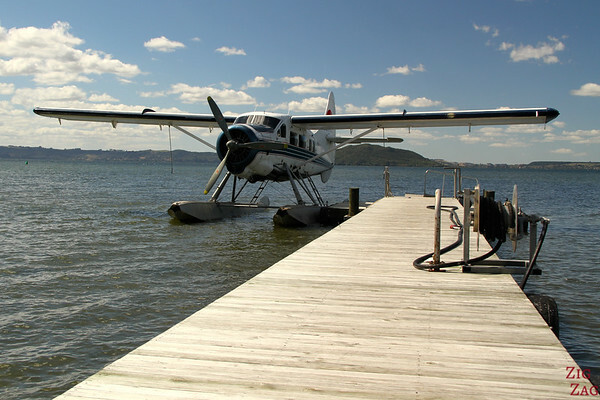 Would you fly in a floatplane?